Enjoy cold season with the new Keen Wapato Tall boot waterproof. This mid-height cozy boot feels like home even in brisk, chilly temperatures. Crafted with waterproof nubuck and suede leather upper, it also features a traditional lacing closure that allows an adjustable fit. Mesh linings naturally wicks away moisture and provides all-day comfort and warmth. 200 grams of Keen.Warm insulation adds to its overall comfort, while durable rubber outsole provides sure traction that grips where and when you need it. 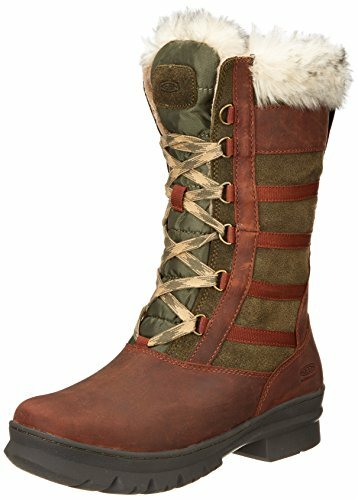 Compared KEEN Women’s Wapato Tall WP Snow Boot with other offers. This store has the best deals! Couldn’t find a KEEN Women’s Wapato Tall WP Snow Boot anywhere but in this store. Nice job!